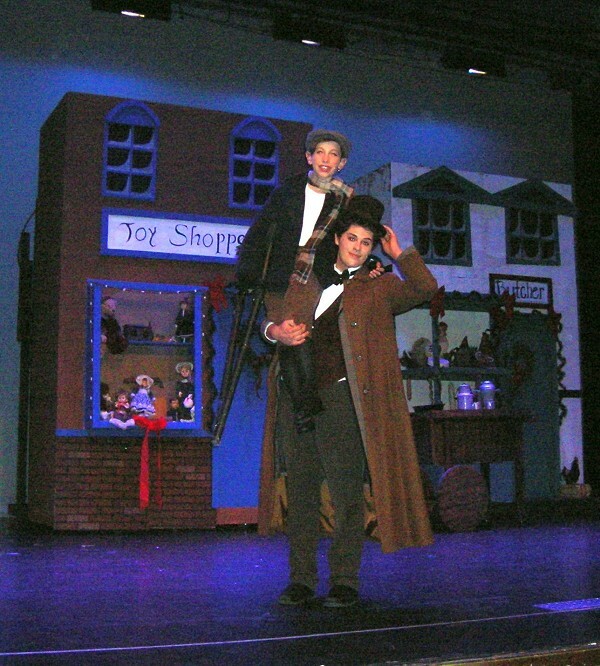 Brett Fallis plays Bob Crotchet and Elijah Holnagel plays Tiny Tim in John Glenn production of Scrooge The Musical. 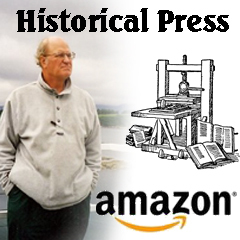 It's a story as timeless as Christmas itself - the story of a man named Scrooge and his love of money. Fifty-five kindergarten through 12th-grade students in Bangor Township Schools brings this classic holiday story to life this weekend in "Scrooge: The Musical." "It's a good story for right now, given the shape of the world, said Jeanne Gilbert, beginning her 25th year as director. "We all need a little hope, a little forgiveness, and a little love." Vice principal Tony Bacigalupo couldn't be happier to see one his favorite stories come to life. "It's a story you never get tired of hearing," he told Gilbert. "No matter who plays him." Playing the title character for this version is 10th-grade student Ethan Bach. While Bach finds the character very egotistical, controlling, greedy with no respect for people, he does understand him. "He had a rough time growing up," he said. And, he adds, playing the villain is a good way to shake off the school day and escape from the real world. Villain aside, playing Scrooge has put Bach into the Christmas spirit. "With all the Christmas music, it gives me a feeling of happiness," he said. "That's how people should be behaving." Based on Charles Dickens' "A Christmas Carol," and adapted by Leslie Bricusse from the 1970 film "Scrooge," the story focuses on Ebenezer Scrooge, who has a change of heart after being visited by three ghosts on Christmas Eve. The show is on the stage of the John Glenn High School auditorium at 7 p.m. Thursday through Saturday and 2 p.m. Sunday. Tickets are available at the school, 3201 Kiesel Road, by phone at 684-7510, online at http://bangordrama.weebly.com, and at the door. Cole Windiate as Jacob Marley is surrounded by ghosts, Brionna Luck, Jangle Walraven and Mackenzie Cunz. Jenae Lodewyk and Samantha Matuszewski welcome the audience to Scrooge The Musical at John Glenn High School. Ethan Bach strikes a pose as Ebenezer Scrooge in Scrooge The Musical.